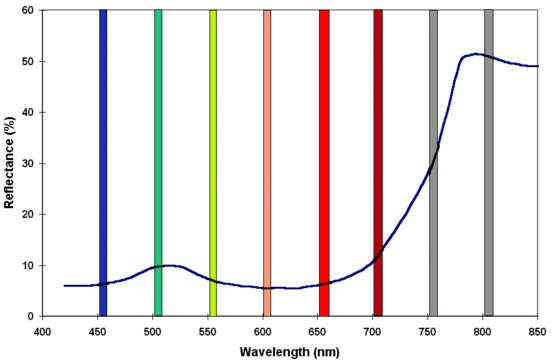 There are three multispectral radiometers, the MSR5 and MSR87 and the MSR16R. 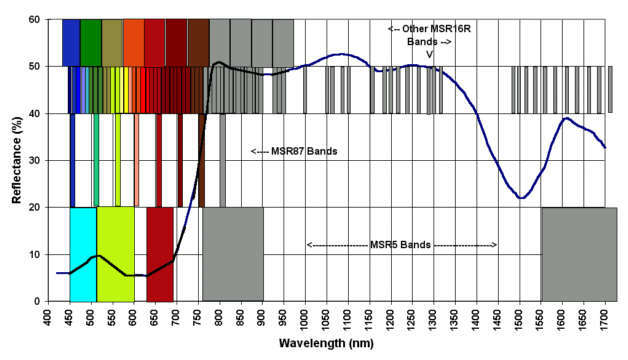 The MSR5 provides a set of 5 wavebands similar to the first five LANDSAT Thematic Mapper bands. 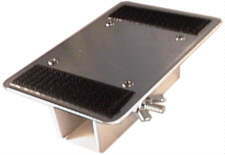 The MSR87 provides a fixed set of 8 standard wavebands. The MSR16R can support up to 16 waveband up/down sensor pairs. Size of housing - 80 X 80 X 100 mm. Made of brushed, anodized aluminum. Flashed opal glass cosine diffuser covers incident irradiance measuring sensors. 28 degree field of view for reflected irradiation sensors. Size of housing - 80 X 80 X 100 mm, brushed, anodized aluminum. incident as well as reflected radiation. reference panel (requires clear sky conditions). connected to the DLC by ribbon cables. 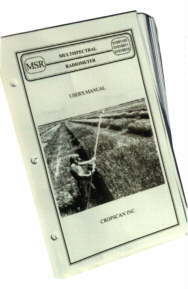 Used to attach the MSR5, MSR87 or MSR16R to the MSR extension support pole. 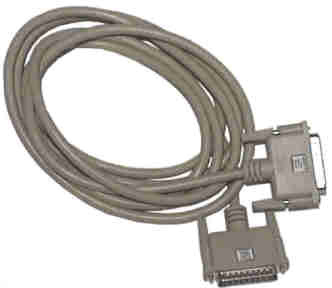 Requires MSRCA (Cable Adapter, below) when used with the DLC. 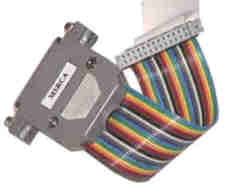 Three methods of calibration are supported for the MSRSYS5, MSRSYS92 and MSRSYS16R systems. 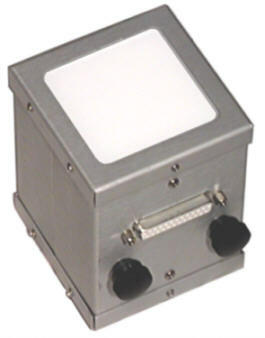 2-point - Uses a diffusing opal glass (included with MSR5 or MSR87 or MSR16R purchase), alternately held over the up and down sensors facing the same incident irradiation to calibrate the up and down sensors relative to each other. Radiometer may then be used in cloudy or less than ideal sunlight conditions. Recalibration required only once or twice per season. Assumed radiometer is to be used where irradiant flux density is the same between that striking the top surface of the radiometer and that striking the target area, as outside in direct sunlight. White Standard Up & Down - Uses a white panel with known spectral reflectance to calibrate the up and down sensors relative to each other. Provides a more lambertian reflective surface for calibrating the longer wavelength (above about 1200 nm) down sensors than does the opal glass diffuser of the 2-point method. Assumed radiometer is to be used where irradiant flux density is the same as that striking the top surface of the radiometer and that striking the target area, as outside in direct sunlight. White Standard Down Only - Uses a white panel with known spectral reflectance with which to compare down sensor readings. 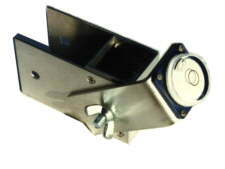 Only down sensors required, saving cost of purchasing up sensors. Best method for radiometer use in greenhouse, under forest canopy or whenever irradiance flux density is different between that striking the top of the radiometer and that striking the target area. 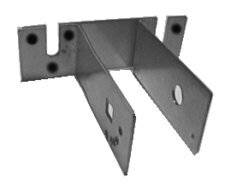 White panel must be carried in field and recalibration readings must be taken periodically to compensate for sunangle changes. Less convenient and takes time away from field readings. 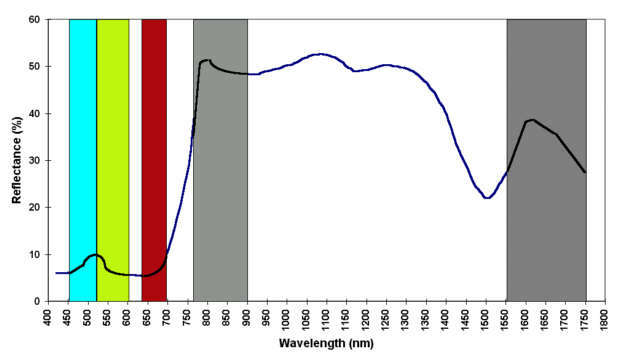 Readings cannot be made in cloudy or less than ideal sunlight conditions, because of likely irradiance change from time of the white panel reading to the time of the sample area reading. 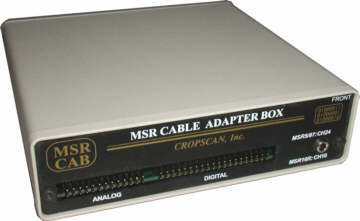 NOTE: CROPSCAN, Inc. does not provide white calibration reference panels. For our use in cross-calibration of our 2-point calibrations to a white panel of known reflectance, we use a white Spectralon panel (12 inches x 12 inches) from Labsphere.